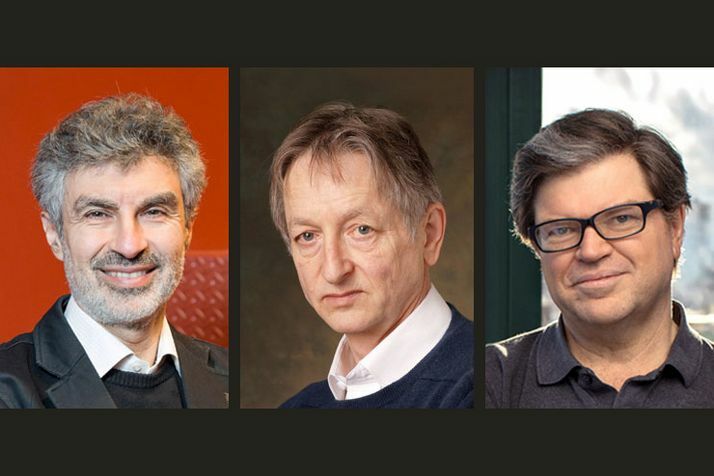 Yoshua Bengio, IVADO’s Scientific Director, professor of Computer Science at UdeM and Scientific Director of Mila, is named a co-recipient of the annual A.M Turing Award, sharing $1 million for revolutionizing artificial intelligence. Early on in their research, Bengio and his colleagues recognized the importance of building deep networks using many layers – in other words, “deep learning.” In traditional computing, a computer program directs the computer with explicit step-by-step instructions. In deep learning, a subfield of artificial-intelligence research, the computer is not explicitly told how to solve a particular task such as object classification. Instead, it uses a learning algorithm to extract patterns in the data that relate the input data, such as the pixels of an image, to the desired output, such as the label “cat”. Unlike Hinton, who is a vice-president at Google, and LeCun, a vice-president and chief AI scientist at Facebook, Bengio is first and foremost a professor of Université de Montréal. Though he maintains close ties with the technology industry, he calls UdeM home, and recently helped inaugurate new headquarters in Montreal’s Mile-Ex neighbourhood for Mila, the renowned machine-learning institute he founded and for which he holds the title of scientific director. It is entirely appropriate that the Turing Award isn’t going to just one scientist, but will be shared among three, said Bengio, adding that he has “no plans for the moment” about what to do with the prize money. “The community we have helped to create around deep learning does indeed enjoy a deep culture of sharing and collaboration and all three of us have set an example in recent decades,” he said.